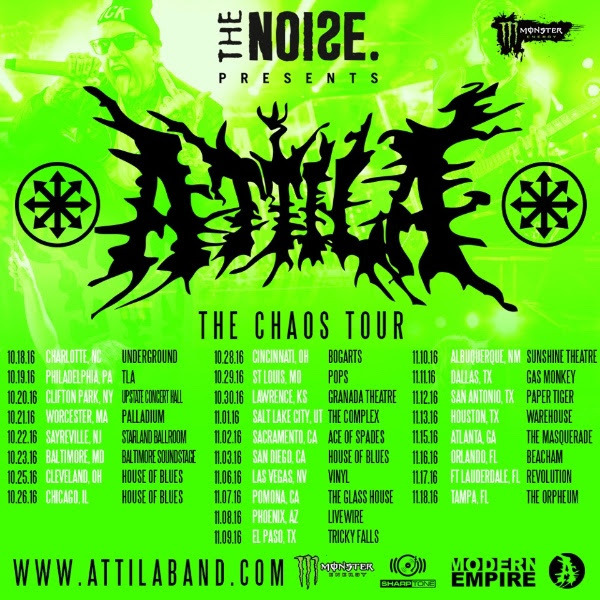 ATILLA Drops Video for "Bulletproof"
ATILLA have just dropped the video for "Bulletproof" from their new album CHAOS, out November 4 on SharpTone Records. It's the first clip from the album. Watch it here. The song is available as an instant grat track with digital pre-orders. All physical pre-orders come with a booklet signed by the band and a neon, slime green, limited edition jewel case. That way, the Attila faithful can proudly display their fandom. The "Bulletproof" video was directed by Frankie Nasso (Parkway Drive, Asking Alexandria). 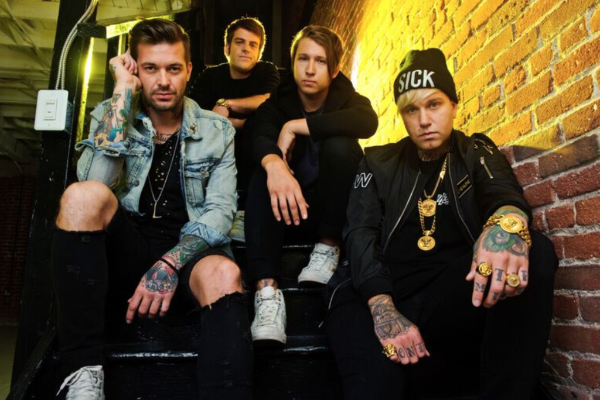 "I had no idea what to expect before meeting and working with Attila," Nasso said, offering some insight into the shoot and the band's psyche. 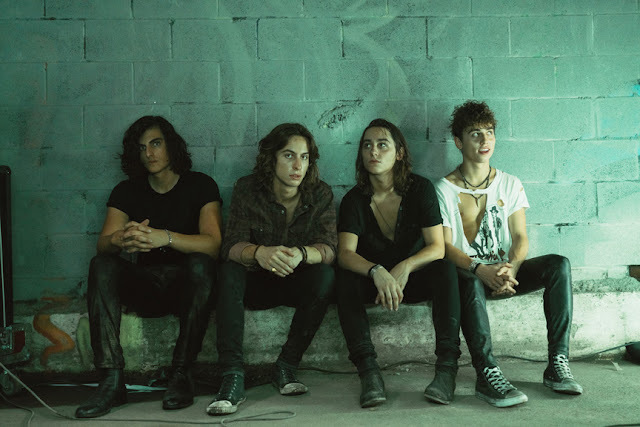 "What I've come to learn is they are one of the most driven and dedicated bands out there today. It was well over 100 degrees when we shot the video down in Tampa. You could literally cook a steak on those metal containers. Those dudes were up nearly two stories high for over eight hours and never complained once." He continued, "There's a reason why Attila is making so much noise right now. It's because they are relentless and unfuckingstoppable. 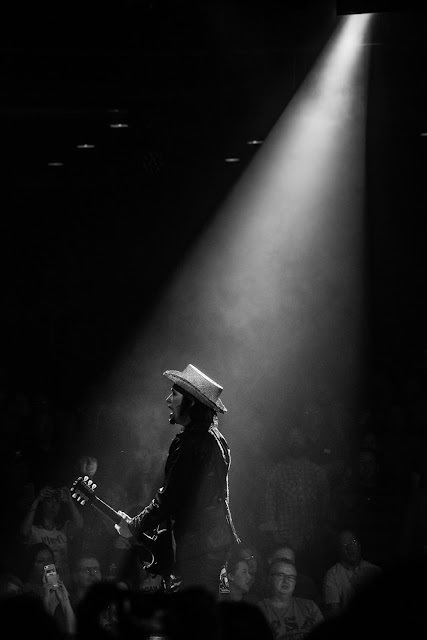 I know this new album is the start of a very exciting new chapter for them, and I'm proud to be a part of it." CHAOS is in season with the Attila CHAOS Keyboard App. Fans can communicate, piss each other off, and show their attitude with a variety of emojis. Attila have issued two new songs from CHAOS so far — "Public Apology" and "Ignite."